This nail paint remover is clean nails safely and provides you a best result. 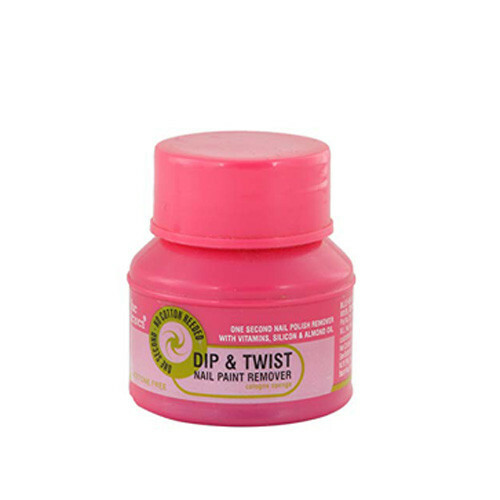 Dip & Twist Nail Enamel Remover is an acetone free nail paint remover that not only removes enamel but nourishes and conditions your nails with almond oil. Now go, Get glam! It has almond oil that nourishes your nails.It is acetone free.It has a fragrance of strawberry.